Alibaba Group has opened its country office at The Vertical Bangsar South in Kuala Lumpur, signifying its continued endeavour to bolster the technology capabilities of Malaysian small and medium-sized enterprises (SMEs) and young entrepreneurs. Serving as a “one-stop solution centre” for local businesses, the new country office is designed to engage with existing local partners, help Malaysian businesses identify global cross-border trade opportunities, and support Malaysia’s technology innovation through cloud computing services. It will also offer extensive training programs to help SMEs and entrepreneurs take advantage of digital innovations and trade opportunities. Alibaba first launched its first first electronic world trade platform (eWTP) hub outside of China in Malaysia last November, with an emphasis on facilitating exports for Malaysian SMEs and creating the infrastructure to support global trade with services encompassing e-commerce, logistics, cloud computing, mobile payment and talent training. A+M has reached out to Alibaba for additional information. Founder and executive chairman of Alibaba Group Jack Ma (pictured) said when partnering with the Malaysian government, the company focuses on digitising local partners, as well as empowering small businesses and young people to go global. 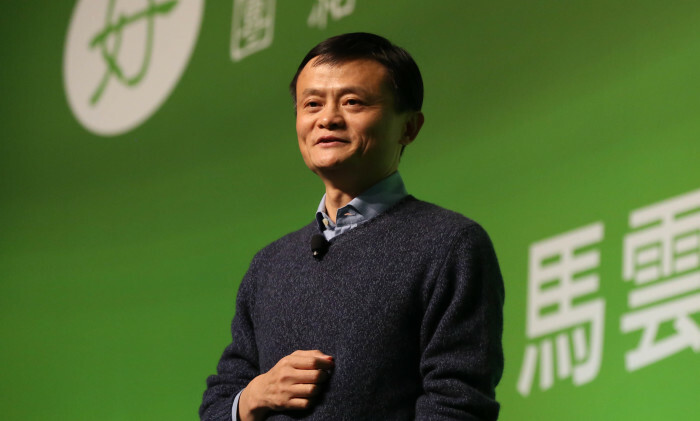 Only large corporations have benefited from globalisation over the past 30 years and Ma said Alibaba would like to fulfil its vision of an inclusive and sustainable economy, by supporting approximately 60 million small businesses worldwide. Malaysia’s Minister of Finance, Yang Berhormat Lim Guan Eng, described the new country office as a “shining symbol” of China-Malaysia friendship that is based on mutual respect and benefits, that augurs well for the cooperation on the part of governments, businesses and people from both countries. “We look forward to the opportunities this partnership will bring to Malaysian SMEs and I am confident that the eWTP together with the Digital Free Trade Zone, will encourage more Malaysian SMEs to participate in e-commerce and increase their exports to other countries in Asia and beyond,” Lim added. Additionally, the group also launched “Malaysia Week”, a special online promotion initiative that seeks to attract Chinese consumers to buy all things Malaysian from 6 to 12 July 2018. It will showcase an array of “Must See”, “Must Eat” and “Must Experience” Malaysian products and tourist designations across Alibaba platforms. More than 50 Malaysian brands will be showcased, along with a host of promotional activities. Meanwhile, a Malaysian Pavilion was also launched on Alibaba.com to promote quality Malaysian products to global buyers. Other milestones in the development of Alibaba Group’s support for Malaysia’s digital economy include opening an local internet data centre to offer Malaysian enterprises a local choice to build their businesses and run their applications on a reliable and global cloud platform. The group will also team up with the Malaysian government agencies and universities to train “thousands of” individuals, entrepreneurs and cloud computing professionals under various programs. Prudential Assurance Malaysia Berhad (PAMB) has launched a new savvy iPad application targeted at increasing the efficiency of its..
Held on 29 July, two players from Paris Saint-Germain will measure themselves against competitors including Singaporean team, Team..
#ImOnYourTeam will run on BCF's Facebook, Instagram and Youtube platforms until October, which is also Breast Cancer Awareness Mon.. The bank kicks off the campaign with the opening of the 100th Anniversary Exhibition, alongside a new logo and tagline, a Facebook..